I greatly appreciate the men and women who work fixing outside problems with my internet that got me back online this morning. While it is finally above 0 here it is still in single digits F. Which is to be expected for the region of the USA I live in but Mother Earth is resting, I hope, peacefully under a beautiful fluffy white blanket of snow. 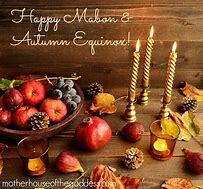 Please remember we have an open Imbolc/Lammas Sabbat gathering in the Coven Life chatroom tomorrow starting with a social hour from 6:00 to 6:59 PM CT. The circle will be cast at 7:00 PM CT. Please do not enter the chatroom after 6:59 PM CT so the circle is not broken possibly allowing something nasty to creep in with you. Thank you. We also have an Open Chat on Saturday, February 9th from 10:00 AM to 1:00 PM CT that is open to anyone wanting to join us who knows you may even make a new friend or two. Come visit for as long as you like. I am working on the draft for the sample issue of Life in The Craft Newsletter due to be in your inbox on March 1st or 2nd. It is in a PDF Format so if you would like to receive a copy please email the newsletter staff at LifeinTheCraft@outlook.com. Please put your email address into the body of the email this makes is simpler to copy and paste it when sending the newsletter out. All email addresses will be listed in under BBC which means your e-address will not be shared with anyone else receiving the newsletter. As this is a sample of what Life in The Craft Newsletter will be offering to subscribers it will be shorter than the regular bi-monthly issues. The subscription price will be either $4.00 per copy or $20.00 per year (so you pay for 5 copies and get one free). it’s been so cold where I live at as well , it has been -5 degrees here some days I am looking forward to warmer weather .